A little over a year ago I had written this post over at Love, Joleen about style after baby. I have always had curves and as I’ve gotten older I’ve learned to embrace them especially after my body did a significant 180 on me with the birth of our son. As much as I wanted and still do at times desire to fit into smaller sizes, I’ve put my focus on what flatters my shape most and I feel comfortable in! 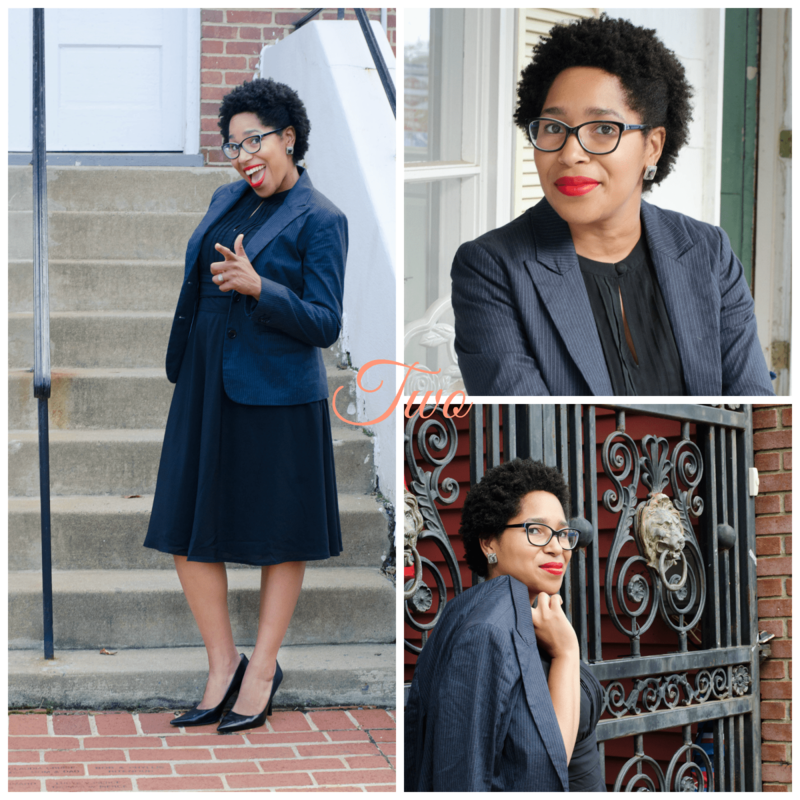 I recently was contacted by Eshakti to be a partner in their Real Fashion for Real People Campaign (follow them on Instagram to see more) – after seeing their vision I had to jump on board! 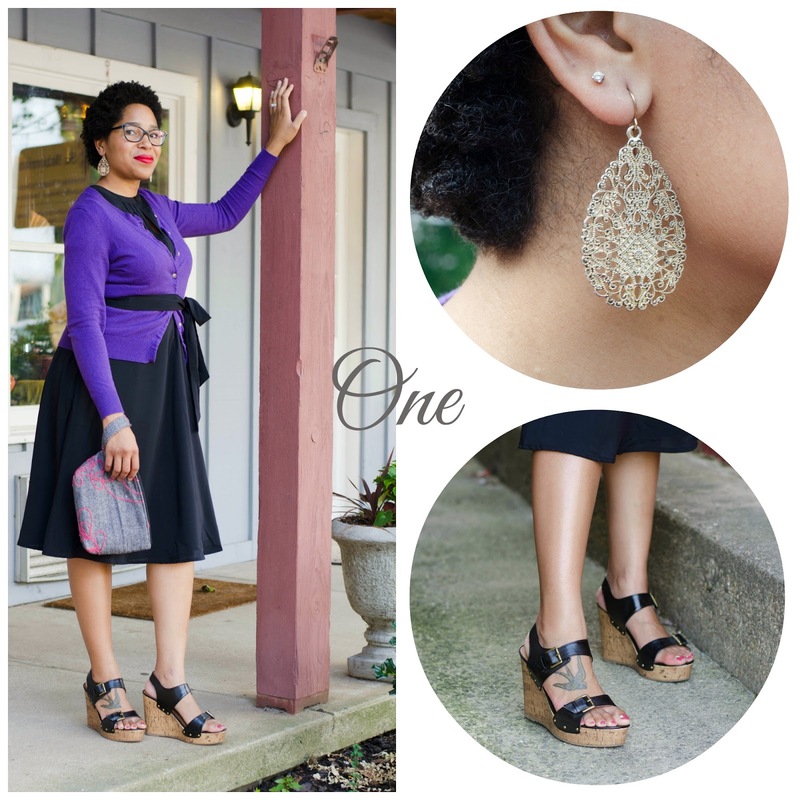 Eshakti is the only online women’s fashion apparel company offering sizes 0-36W AND custom clothing. 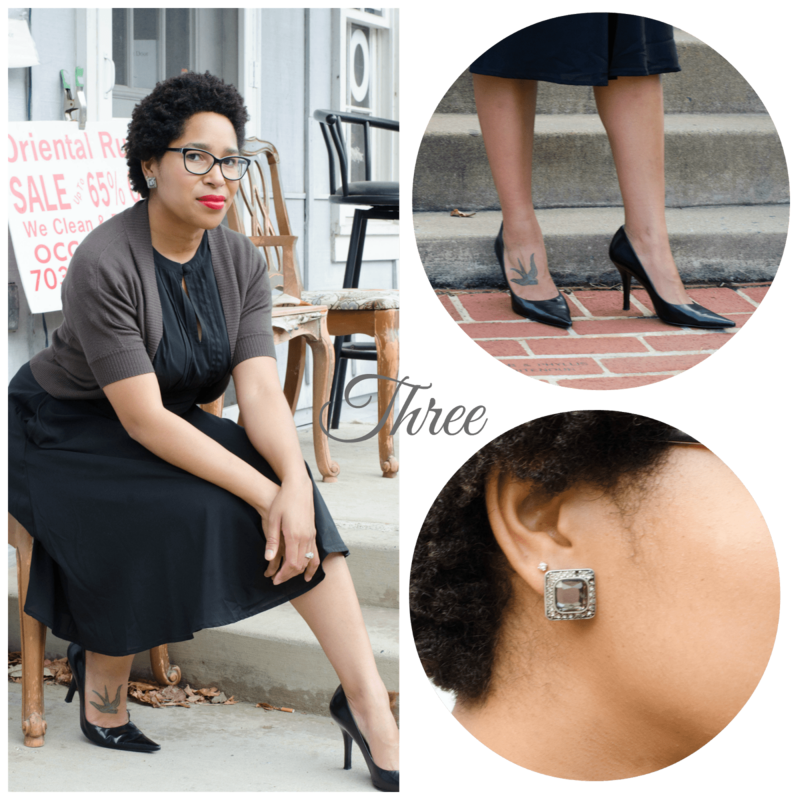 Not only do they have flattering items for all shapes and sizes, you can customize your item from the hem length, sleeve style, and even pockets – yes I said pockets (which is a must have in my world!). When looking through the array of options, I had narrowed it down to three dresses – but had such a hard time deciding. I knew I wanted something versatile and definitely comfortable…something I could wipe any stain off and still keep the day going. This dress was a perfect fit – literally! 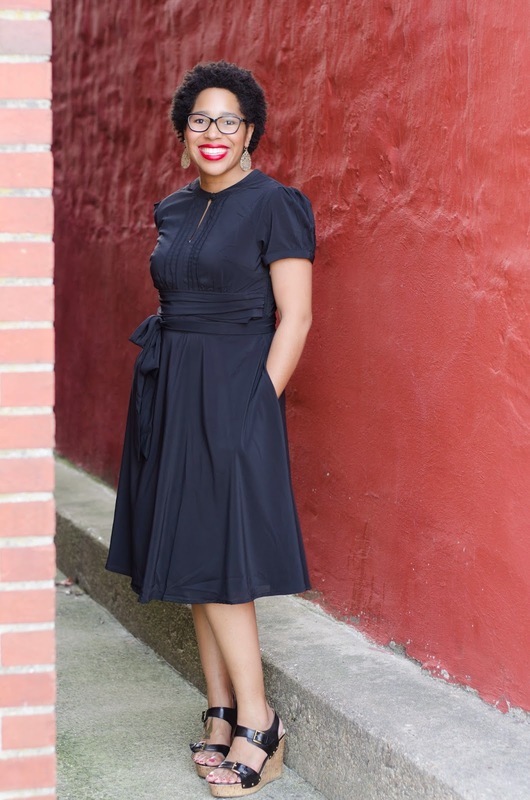 The seams, the fit, and the sleek style are exactly what I need to still be able to chase after Kai and stand next to my husband at the church business meeting (which I did last Sunday!). Yes, I know that black is simple, but I am an old soul and have always loved a great classic piece in my closet. So just to keep it fun, I created three simple style options that I know anyone can use and reuse without having to purchase anything additional! So pull out your cardigans, blazers, or even jean jackets to add a twist to your item from this phenomenal company! I love simple details like earrings and even shoes to give each look a completely different feel. The dress came with a sash that I made sure to incorporate whether not wearing it or having it wrapped around to create a ruching effect. I hope you’re inspired friends!! Sincere beauty exudes from the place where you truly see your worth. I am in love with the Real Fashion for Real People Campaign, because it was a much needed opportunity for me to reconnect with the person I desire to feel and see on a daily basis. Behind the uncombed hair or sticky clothes that I can’t figure out how they got dirty, this is who I feel I am and what I love about myself. I hope that you are just as pleased with your shopping experience with Eshakti as I was. From their options to their speedy delivery, please tag them on Instagram and myself as well! From now until November 7th Eshakti is giving A Blue Swallow readers 10% off their purchase! This code can be used MULTIPLE TIMES!! So shop away friends! This product was provided by Eshakti.com, however, the opinions and photos are solely mine. Thank you so much again to Uplifted Photography for the photos! !